Otherside Farms classes are currently on hold. Please fill out the form to the right to be notified of updates or follow us on Facebook. OTHERSIDE FARMS Medical Marijuana 101 general education on Cannabis is part of a comprehensive grow session workshop. OTHERSIDE FARMS intro to Medical Marijuana is for patients and non-patients alike who would like to learn more about various subjects related to Medical Marijuana including but not limited to history, strains, medicinal benefits, studies, law and patient rights, activism and more. 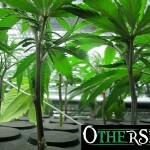 Otherside Farms grow workshop consists of a comprehensive session on growing medical marijuana for patient self reliance. Our sessions are hands on and cover all that is necessary and essential to start growing, perform maintenance and harvest. Advanced topics are also covered, including problem solving, upkeep, and maintenance. Students receive a growing handbook and certificate of completion. See what students are saying about OTHERSIDE FARMS Grow Workshops! OTHERSIDE FARMS prides itself in teaching patients how to grow safely and effectively for themselves, using no chemicals or pesticides during all stages of a plant’s grow cycle. We also pride ourselves in developing superior plant genetics which produce healthy, higher, and effective yield. As a medical marijuana patient, medical cannabis may be grown for personal medical use. Medicinal herb is safe for use and shown to be therapeutic for people with cancer, anorexia, AIDS, HIV, chronic pain, spasticity, glaucoma, arthritis, migraines, and “any other illness for which medical marijuana provides relief” pursuant to California Health and Safety Code Section 11362.5. Crops are intended to be free of chemical, fungus, or mold contamination, thus we offer sessions to inform patients on how to grow if they choose to grow for themselves. 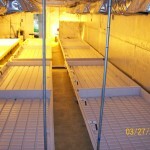 OTHERSIDE FARMS “Marijuana Grow Equipment” is part of our comprehensive grow session workshop. OTHERSIDE FARMS section on marijuana grow equipment provides information on the right tools, equipment, and supplies necessary for a successful grow room. 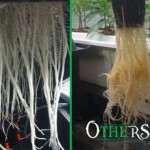 OTHERSIDE FARMS “Medical Marijuana Soil Mixtures” is part of our comprehensive grow session workshop. OTHERSIDE FARMS section on soil and soil-less mixtures provides information on preparing nutrients for hydroponics or nutrients in soil for a successful and healthy harvest and yield. OTHERSIDE FARMS “Marijuana Hydroponics” is part of our comprehensive grow session workshop. OTHERSIDE FARMS section on hydroponics provides information on preparing nutrients for different stages of hydroponics for a successful and healthy harvest and yield. 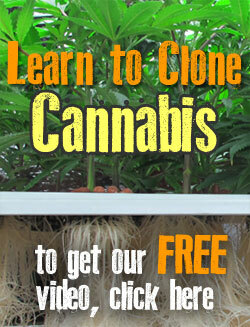 OTHERSIDE FARMS “Medical Marijuana Cloning” is part of our comprehensive grow session workshop. OTHERSIDE FARMS section on cloning provides information on taking cuttings, preparing and administering nutrients, maintenance, and going over the right tools, equipment, and supplies necessary for successful cloning and ultimately a successful and healthy harvest and yield. OTHERSIDE FARMS “Marijuana Nutrients and Feeding” is part of our comprehensive grow session workshop. OTHERSIDE FARMS section on nutrients and feeding plants provides information on preparing and timely administering nutrients for a successful and healthy harvest and yield. OTHERSIDE FARMS “Marijuana Grow Problem Solving” is part of our comprehensive grow session workshop. OTHERSIDE FARMS section on “Marijuana Grow Problem Solving” provides information on solving problems to common grow problems such as mold, mildew, and spider mites. OTHERSIDE FARMS “Supercropping and Pruning” is part of our comprehensive grow session workshop. Supercropping is a term given to a group of techniques that, when used in conjunction, will produce greatly improved yields over untreated plants. Various methods can be used when supercropping. You can use one or all methods of supercropping, modified to your individual needs. The end result is an increased yield. OTHERSIDE FARMS section on supercropping provides information on the right techniques, including crimping, bending, tying, topping, pruning, and more. OTHERSIDE FARMS “Medical Marijuana Vegetative Growth Cycle” is part of our comprehensive grow session workshop. OTHERSIDE FARMS section on “Vegging” provides information on how to veg and maintain medical marijuana before blooming for a successful and healthy harvest and yield. OTHERSIDE FARMS “Marijuana Bloom Cycle” is part of our comprehensive grow session workshop. OTHERSIDE FARMS section on “Blooming” provides information on how to bloom medical marijuana for a successful and healthy harvest and yield. OTHERSIDE FARMS “Medical Marijuana Harvesting” is part of our comprehensive grow session workshop. OTHERSIDE FARMS section on “Harvesting” provides information on how to harvest, trim, and successfully dry and cure medical marijuana. You will also learn how to make the most of your trimmings. In addition to OTHERSIDE FARMS Comprehensive Grow Session Workshop, we also offer supplemental session workshops to cover all areas of growing medical marijuana. These workshops are for intermediate/advanced growers only. These are custom courses designed to fit your needs. To inquire, please fill out the form to your right. Interested in a Marijuana Grow Consultation/Consultant or Build Out?